How they work is: the commissioner sends me several photographs of their dog/cat. I then choose one but if I do not think any of the photos will work, this step takes a little longer. Once the photo is chosen I ask for the owner to write me a short story about the pet. This allows me to ‘know’ the dog or cat. My aim for a pet portrait is not to make the picture a mirror image of the animal in a different medium (Photoshop can do that) but rather that the personality of the animal must come through. 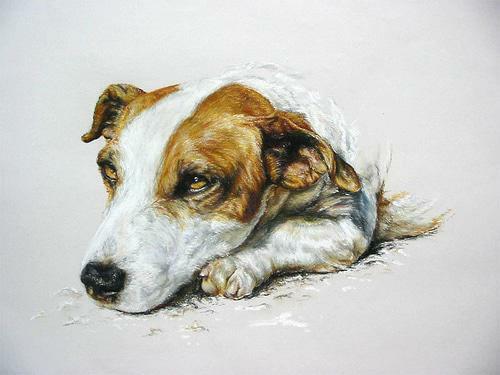 You must be able to look at the picture and like when you look in the face of a dog and you just know he is naughty, you must be able to look at the portrait and know the same. This is my favourite part becuase when I finish an artwork I feel as though I have made a new friend. It is also wonderful when you hand it over and the commissioner is more often than not, happy to the point of tears. I grew up in Botswana and I think this is where my love for animals grew roots. (I always wanted to be vet but my biology marks did not agree). When I find a wonderful picture of an animal that I admire, such as the endangered Mountain Zebra that I think is beautiful with his brown lines and softer silhouette, I just have to draw it. 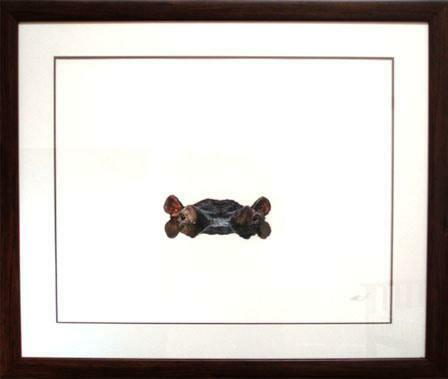 Artworks such as the the Hippo I have sold at local galleries. I have also done some oil and gouache artworks. 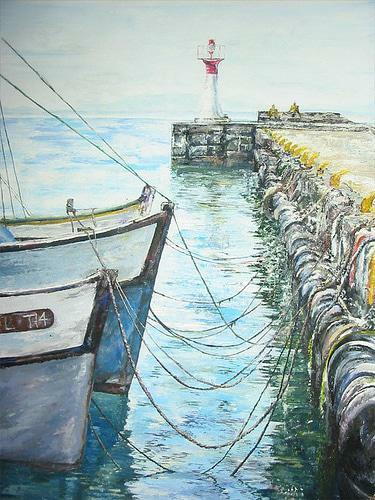 This oil painting of Kalk Bay Harbour (below) is about 1m x 0.5m. It was the first oil piece I ever did. 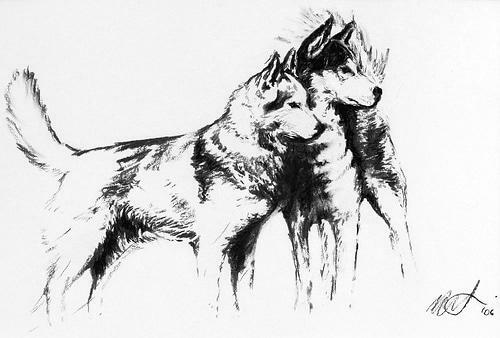 I have decided to open an etsy shop called ‘Wendren’s Art’ where I can showcase my sketches, drawings and artworks and advertise to do pet portraits. I have taken the Mischief sketches that I did early last month and had them mounted. These are now for sale in my etsy art shop. This entry was posted in Blog and tagged Animal, art, Charcoal, Comissioned Artwork, Gouache, Hippo, Husky picture, Kalk Bay, Mountain Zebra drawing, Personalized artwork, pet portraits, Pet Portraiture, Picture, sketches, Sleeping cat drawing, Wildlife. Wow…Wendren I have no words! You are so talented!Your drawings are fantastic!Congrats to such creative talent!Perfect!I am sure you will have many buyers of your drawings!Have a nice day! Wendren, you seem to be endlessly talented! Wow! These are stunning drawings, I can see how much you love doing them too. Good luck with your new etsy shop too! 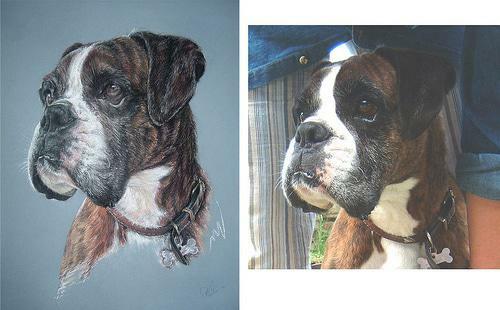 Hi Wendren, I (your former neighbour : ) stumbled onto your French-linen bags online via Pinterest, last night, and came across your incredible portrait of my boxer, Huck. Was so shocked, then immediately pleasantly surprised, to suddenly see him online – think my heart skipped three beats! Anyway, he was the dog of my life. And seeing him helped me make the connection – Wendren is Wren! Your work is gorgeous; you’ve definitely found your niche.